During the return journey from the Pacific coast in 1806, Lewis and Clark decided to divide their party so that they could do some extra exploring. For more than a month — July 3 to August 12 — they were out of contact with each other. And as regular readers of this blog won’t be surprised to know, Meriwether Lewis had a huge adventure in which he almost got killed, twice. William Clark, on the other hand, had a time so idyllic that it is often overlooked even by historians of the Expedition. But it shouldn’t be, because during that month, in his own patented “no drama” fashion, Clark led the pioneering exploration of the Yellowstone River and southwest Montana. The Yellowstone River is the principal tributary of the upper Missouri. It is actually bigger than the Missouri at the point where it joins the great river, flowing in from the south and draining the entire basin of present-day Yellowstone National Park and the high plains of southern Montana and northern Wyoming. It was called “yellow stone” by the Hidatsa Indians, probably for the color of the rocks in the Grand Canyon of the Yellowstone. Lewis and Clark translated the name into English (independently, French fur trappers also translated the Hidatsa into Roche Jaune or Yellow Rock). The river was best-known to western tribes such as the Lakota, Cree, Crow, and Cheyenne, who used it and its tributaries to get around their rich summer hunting grounds. The pass Sacagawea recommended, later called Bozeman Pass, took Clark and his company south of present-day Livingston, Montana, just 40 miles from Mammoth Hot Springs and other wonders we associate with Yellowstone National Park. Clark had no way of knowing what he was missing, and he and the men set up camp near present-day Park City. Pompey's Pillar was found by Clark on his reconnaissance down the Yellowstone and named for Sacagawea's baby son. It’s striking how the weeks on the Yellowstone encapsulate Clark’s personality and career in a nutshell. Clark was the great waterman of the Expedition. Here, he and his men got busy building dugouts to navigate the turbulent waters of the Yellowstone, even incorporating the Indian innovation of lashing them together to make a more stable craft. Clark was the future Indian diplomat; here, he dispatched Sergeant Nathaniel Pryor ahead with a message to Canadian fur trader Hugh Heney, whom they had met back at the Mandan villages. Clark wanted to enlist Heney’s help in persuading the Sioux (whom Clark didn’t even like) to send delegates to Washington to meet with President Jefferson. Psychologists could speculate endlessly as to the reasons, but Clark was ever-willing to shoulder the less glamorous duties. Here, in addition to exploring the Yellowstone, he had taken responsibility for the Expedition’s horse herd, which they had acquired from the Shoshones and Nez Perce. They hoped to sell and trade the horses at the Mandan villages. The Crow Indians had other ideas, stealing most of the horses and dooming Pryor’s side trip to visit Heney. 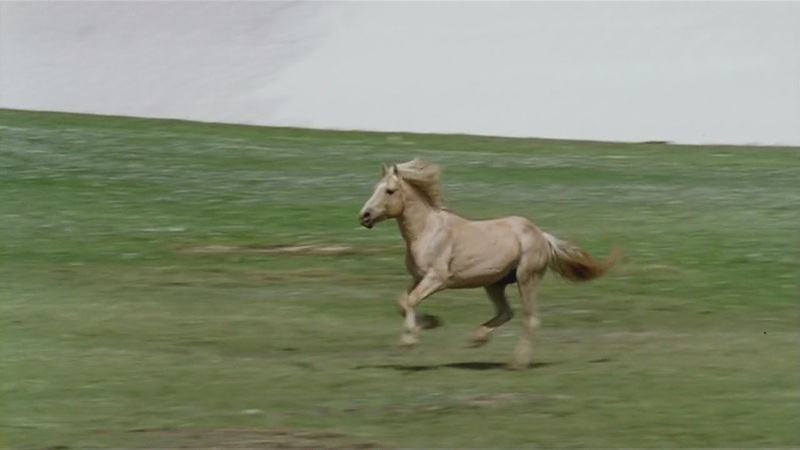 The wild mustangs of the Pryor Mountains, whose lives have been documented in moving detail by the "Cloud" series of documentaries on PBS's "Nature," are believed to be descended from the band of horses that the Crow stole from Clark and Pryor. July 25 marked the most notable day of Clark’s exploration. He found a large rock tower rising some 200 feet from the valley floor and covered with petroglyphs of animals and other symbols. 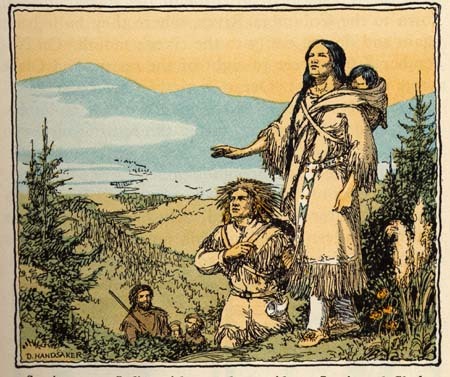 Clark climbed to the top and admired the view, then he made another characteristic decision, naming the tower “Pompey’s Tower” after Sacagawea’s 17-month-old son, whom Clark adored and wanted to adopt. 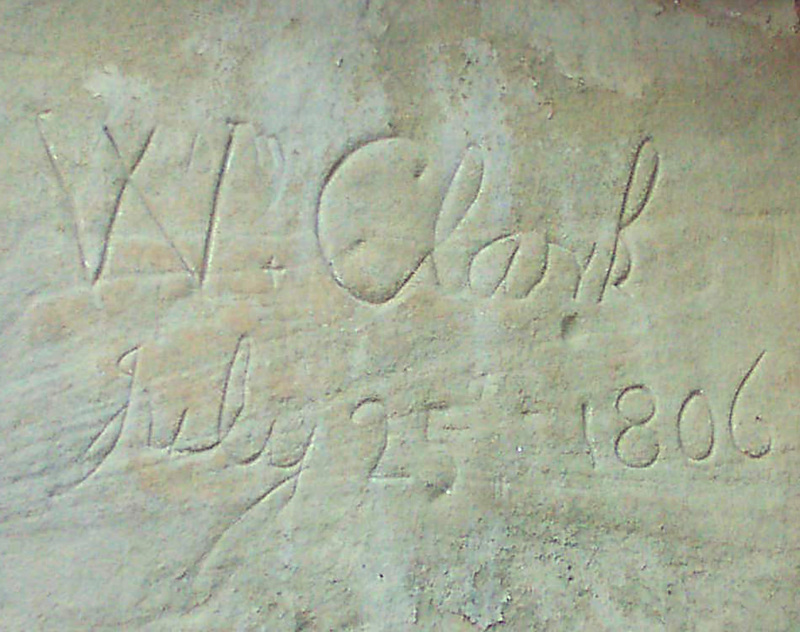 Most notably for Lewis & Clark aficionados today, Clark then took the time to carve his name and the date into the rocks. Fighting bears and mosquitoes, Clark moved around the area waiting for Lewis until August 12, when his partner arrived exhausted, fleeing from hostile Indians, and severely wounded in the buttocks from a hunting accident with one of his own men. Vacation was over, and it was back to drama for William Clark. Clark’s maps of the Yellowstone area would stand as the most reliable source for travelers for the next fifty years. One of Lewis & Clark’s own men, John Colter, may have been the first white man to see the geothermal wonders of the Yellowstone in 1807 and 1808, when he was fur-trapping (and running from Indians) in the area. For many years, fur trappers like Colter brought back tales of geysers, boiling mud pots, and petrified forests, only to be met with disbelief back home. Another organized scientific expedition into the Yellowstone region would not follow Lewis and Clark until 1869 and 1870. Despite the ubiquitous bears and mosquitoes, the area around the confluence of the Missouri and Yellowstone became a major fur trading post. 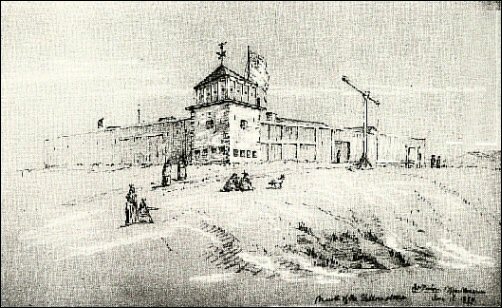 Fort Union was active from 1828 to 1867. Even after the demise of the fur trade, the strategic area became home to a military post, Fort Buford. The troops stationed here protected the routes to the Montana gold fields. The area was a center of conflict during the Great Sioux Wars, and Fort Buford is also remembered as the place where Sitting Bull surrendered in 1881.